Eat dinner at a restaurant on Main Street and then stroll past the historic homes on Blanding Street to a show at The Township auditorium, newly renovated. Ive never been in it, but it seems like a nice place, and they regularly host popular people there like jerry Seinfeld, Dave Chappel, etc. I've been in it for some graduations and stuff. Finally saw a performance there last Christmas -- Trans-Siberian Orchestra. It's a neat old venue with some character and they've already kinda fixed up the inside. The immediate area around Blanding seems kind of "dirty," but with everything else downtown getting fixed up... Blanding could be next. Officials with The Township pitched their renovation plans to Columbia City Council Wednesday, and received a cool response to their request for $12 million. Township officials say it will cost $24 million to renovate the 74-year-old facility. Richland County officials want the city to pay half. Council members want to see a more specific business plan for how The Township will operate after the renovation. The council will take up the request again at its planning retreat in December. the size of the DMH redvelopment would encourage them. south of Read / east of Harden has undergone much renewal. land is to be developed at the same time as DMH. Seems as though the city of Columbia has just pulled out of an agreement to help finance half of the improvements to the Township Auditorium. The auditorium is owned and operated by Richland County, and since the venue has been operating in the red for a little while now, there may be no choice but to sell the building. 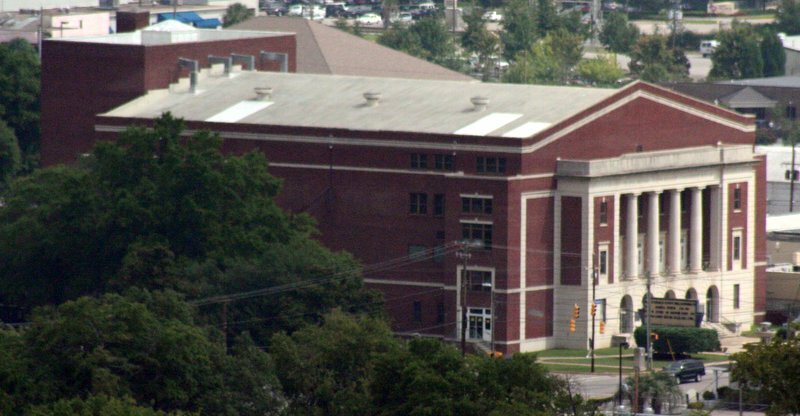 Another article in the Free Times from last year speaks of how the auditorium hasn't really been marketed as it should, and how the Koger Center, and more recently, the Colonial Center, have largely overshadowed it. I've been to some great events at the Township in my day, and I really hope the city and county can come up with a way to save it and give it the much-needed improvements. It's one of the largest auditoriums in the Carolinas and an icon of the city. The Township does need some serious renovations. It amazes me that it is hosting acts like Chaka Khan, Clay Aiken, Alicia Keys and etc. in the shape that it is in. If it can host acts like these in its current shape, then it would probably do very well if it was renovated. Most definitely. I mean, the place is really big and the times I've been there I've never seen it filled to capacity. I still think it serves a certain niche in Columbia though. As the article said, the venue is especially popular with gospel plays and concerts. I didn't realize that Tyler Perry had been there five times over the past year--as big as he's gotten, that's pretty significant. Columbia actually has a lot of venues for a city its size when you think about it: Carolina Coliseum, Colonial Center, convention center, Koger Center, Township Auditorium, and Williams-Brice. And yet still no middle-sized venue to fill the indie rock concert void -- something like The Tabernacle in ATL would be amazing. Maybe I can take over an old church in the Vista or Olympia and make it into my "dream venue" for Columbia. Re: Township -- It would be a shame if they let that thing close down. I wonder who might buy it though?? And for what purpose?? Anyone? I hear about the Tabernacle in ATL, which really does host a variety of events...how much is the facility capable of seating? And does Columbia have a jazz club? Mac's on Main is a Jazz Club and there are plenty of smaller places that can host concerts. For some reason, I thought Mac's on Main catered to a variety of musical genres and wasn't geared specifically to jazz. Finally, someone is doing something about the Township Auditorium. Long left in funding limbo between the combined inertia of Columbia City Council and Richland County Council, the latter agreed Dec. 5 to borrow $12 million for improvements to the landmark Columbia concert hall. The improvements include $3.6 million for stage expansion, renovation and service; $1.6 million for basement renovations that include new dressing rooms; $4.2 million for additions, such as an expanded lobby and new toilets, elevators and concession areas; $500,000 for other upgrades (new roof, marquee, paint job); $400,000 for site work, $400,000 for construction contingencies and $900,000 for a site survey, geotechnical testing, architectural and engineering design services, and consultants. The improvements could require a property tax increase, estimated at about $2.80 on a $100,000 home. The State also reports that the director of the Township is considering selling naming rights. I'm kind of ambivalent about that. I'm not really aware of an auditorium having naming rights, but since the facility really needs the money, it might not be such a bad idea. I guess it would depend on who the sponsoring company is. Welcome to the Aflac Auditorium. Oh gosh no. I hope that if they decide to go the naming rights route, the company's name will be something nondescript or one that somewhat blends in well (e.g., Colonial Center). The Bose Auditorium sounds nice since Bose has a major presence in Columbia. ^ That would be very appropriate too. It's a beautiful building. I love the columns. I really hate the selling of naming rights. It really irks me. I understand it, but it really seems so crass. However, if it HAS to be done, I agree that Bose is probably the most apprpriate name. I think Bose would be cool. Maybe it can serve as a display venue for their new techonology, thereby bringing tourism and buisiness to the city. Imagine a group planning to build a opera house in Birmingham, and to witness a live demostration they come to Columbia to hear the sound system in the Bose Auditorium! That does sound cool, and so appropriate. Don't corporations usually buy naming rights in their hometowns, i.e., where their headquarters are located? There may be exceptions, especially in a venue with national exposure for a brand or company. It's not likely Bose would want to name the Township, but I would love it if I'm wrong! That does sound cool, and so appropriate. Don't corporations usually buy naming rights in their hometowns, i.e., where their headquarters are located? Typically yes; e.g., Colonial Center in Columbia, Bi-Lo Center in Greenville (their operations are in Mauldin), BOA Stadium in Charlotte, Lowes Motor Speedway in Concord, Phillips Arena in Atlanta, etc. So obviously in their headquarters "metro" as noted Bi-Lo is in Greenville's burb of Mauldin and Lowes isn't in Concord, but another Charlotte burb of Mooresville. Just to be accurate.